Pamplona online slot machine is a fun-themed online slot machine game, best known for its adaptation of a very popular cultural event of Spanish bull racing. The game has won accolades among the gamers not just for the game theme, but for the entire gameplay as a whole. With so many scopes of winning in the game like a vast 1024 paylines and a mind-blowing RTP of 96%, there is no reason why it should not be one of the prime choices of the gamers. Play free Pamplona casino slot machine game and it requires absolutely no download or registration. The game is available in various popular IGT supported online casinos for both free and real money. 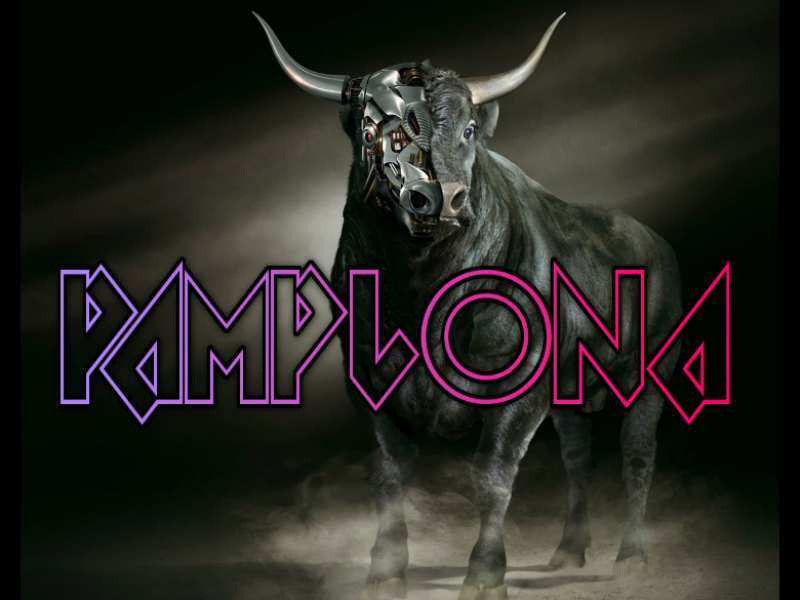 Players can choose his choice and play Pamplona online casino slot machine game. The gameplay contains a pay reel of 3 and a vast payout at 1024 lines. Moreover, an excellent RTP of 92% to 96% surely ensures a very healthy chance of winning. It does not contain any sorts of progressive jackpots or in short, no prize money can be carried forward to the next level or round. The main game page contains rather a simple layout of buttons and features for the players to select various options of setup. Coin Value option is present, and it is denoted by +/-. The players are required to adjust the coin size and values. The minimum coin value, which can be used in the game is 1 and the maximum coin value is 50.00. One touch spin option starts to spin the reel and the outcome is flashed on the screen. The Matador symbol happens to be the Wild Symbol and like many other online slot machine games, the purpose of Wild symbol in the game is to replace all other icons except for the scatters and create a winning combination with any of the symbols. The wild symbol in the game also gifts one more feature and plays as a multiplier by 2X. The symbol appears everywhere except for the first reel. Bull Symbol acts as a scatter symbol and has an ability to activate the high selling El Toro bonus features. It requires the players to hit three or more scatters anywhere on the reels. The above feature can only be triggered thrice in the free online version of the game. All these are shown on a separate screen, which allows the players to choose the bonus of their choice. 30 free rounds for 3X multiplier. This does not stop as the players can reactivate extra free spin rounds if they manage to hit more scatters while the bonus round is on. This will allow more winning scopes and more ways to score big. The USP of the game is the in-built multipliers and payout scheme. With over a 1000 winning ways, the possibility of scoring win is more often than some other games. All the lines in the game multiply the initial bet values and the players need to keep an eye on the bonus games and properly set up the bet values to win plenty. Pamplona Slot is a mixture of fun themed game with a traditional adaptation of Spanish bullfighting cultures. The characters and symbols in the game along with the background layout and theme music sums up this popular game. IGT has taken a great care in ensuring the game gives out a heap of bonus features and free spins, which ultimately is a great reason why Pamplona online has stood up to be one of the best bonus-generating games. The game can be played in various online casinos across the planet for real money. For the fun-loving free playing parties, the game offers a demo version of the gameplay and the features including bonus features generation is very limited. The game is widely available in countries such as US, UK and the European Union, Latin America, Caribbean, Asia and Australia. 0 responses to "Pamplona Slot"